Easy steps to make sure you are shopping for the right mattress. Have you been contemplating buying a new mattress but postponing your plans as youre unable to zero down the right one? A mattress that is not compatible with your body can result in sleep problems and cause health-related issues as well so make sure you are shopping the right one. Are you looking for a mattress that offers you relief from your recurring back pain or one that keeps out allergens?Is your ideal mattress one that allows you to fall asleep as soon as you hop onto your bed? Identify the sleep needs that your mattress must address and choose the perfect product that offers complete comfort to your body. Try to look for mattresses that have a soft sleeping surface, high density foam for optimal support and those that are made of the best quality cotton fabric for a more hygienic sleep environment. There are different types of mattresses available in the market - latex, coir, memory foam, spring and bonded foam. This variety often makes choosing the right one quite difficult. Carefully consider what you're seeking in your ideal mattress. Remember that spring mattresses may tend to provide non-uniform support to the body as also collapse the spring with usage and a hard mattress won't offer such support at all. This can lead to hampered blood flow as well as potentially cause blood clots. Orthopedic memory foam mattresses, on the other hand, take the S-shape of the human body, and distribute one's weight uniformly. If you've battled enough sleepless nights and woken up with persistent backaches on many a morning, then memory foam mattresses will be the right option for you. This step may seem rather simple but it needs to be paid careful attention to. Mattresses are available in all sizes such as King, Queen and Single etc. You need to evaluate your needs and pick the correct size. In case, you find that your bed doesn't meet the standard market sizes, many leading mattress brands can customize the product for you. Mattresses come in different price ranges depending on their comfort level, size, materials, support and durability. As this is your first mattress, invest in one that offers great quality, has all the features that you're looking for as well as one that comes with a good warranty and after-sales customer support. Compare the characteristics of the mattresses and ensure that you're paying the right price for the mattress you have shortlisted. Like most products in the market, a high price tag is no guarantee for great quality. However, if you've found a mattress of your choice and one that assures you of great sleep, remember that quality slumber over the next few years is definitely worth more than a few hundreds saved right now. Before making the payment, ensure that the mattress is covered under warranty. Read and understand the terms and conditions beforehand, so that you don't have to shell out additional money in case of any defects or manufacturing problems. 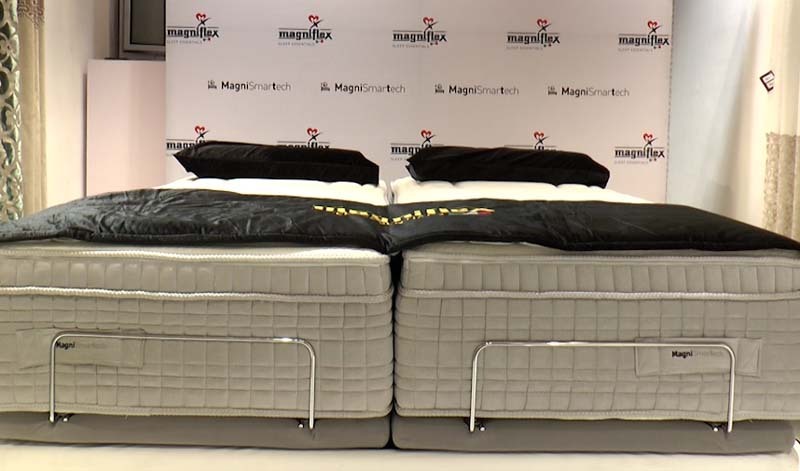 Some of the brands offer a trial period during which you can return the mattress in case you are not satisfied with the product or can have it exchanged with another product from the brand.